Your ﬁrst quarterly reports are due at these meetings. Some of you may not have started your school year in time to be ﬁnished with the ﬁrst quarter by now. But probably most of you have completed your ﬁrst quarter’s school work. If you are not ﬁnished and want to hold your reports, just mail them into the school ofﬁce when you’ve completed that amount of days. Otherwise, complete the quarterly report on each school age student. If you have any questions, you may want to refer to page 7 in the Student Handbook about Recordkeeping, especially if you have a 7th grade student. We ask that you use number grades (instead of letters) at this point in your student’s career. Bring in the white copy (you keep the yellow copy), and turn it in at the administration tables at the faculty meetings. You may also pay tuition at this time. Details on school activities are elsewhere in this newsletter, and may be signed up through our on-line Cheddar Up account. School pictures will be made at both meetings. The photographer will be set up to begin taking pictures by 6 pm at Moody, and 6:30 pm in Pell City. She will resume picture making following the meetings. Directions to Community Presbyterian Church: Take I-20 to exit #144. Go north on Hwy 411 towards Moody and Odenville, about 1-3/4 mile. Turn left on Oak Blvd, then turn left into the church parking lot. Directions to Eden Westside, 223 Wolf Creek Road North, Pell City: Driving east on I- 20 toward Pell City, take exit #156 (Eden/Pell City). Turn right onto Mineral Springs Road and go about 1 mile. Turn left onto Wolf Creek Road North. Eden Westside Baptist Church will be on the left in about ½ mile. If driving west on I-20 toward Birmingham, take exit #156 (Eden/Pell City). Turn left onto Mineral Springs Road and go about 1 mile. Turn left onto Wolf Creek Road North. Eden Westside Baptist Church will be on the left in about ½ mile. The Key Club is in full swing and is ready to jump into its first projects of the year! It is never too late to join the Key Club. If you are interested, but just not sure, you can always come to a meeting to check it out. Parents are welcome also. Call Tere Sizemore at 205-281-7916 if you have questions. Fall Rally!!! It is time for the Fall Rally. All Key Club members are encouraged to come but it is not mandatory. Ashley Sizemore will be holding the rally at our school in the back building on October 14th at 2:00. She is planning a service project, there will be snacks and it is a good time to meet other Clubbers from other schools. WHEN:Friday, October 12th, 12:30-1:30 p.m. Officer elections will be held during this meeting. We will finalize other administrative details (dues, t-shirt sizing, and releases). Also, we will address plans for the upcoming Kiwanis Pancake Supper Service Project. Do not forget to wear “Sunday” clothes to this meeting for our yearbook photos. Feel free to contact the CRCS Builders Club Advisor, Wendy Cornett (205-467-0642 or wcornettlaw@gmail.com) with any questions. All of our spaces are FULL. If you ﬁnd that your student will not be able to come for testing, please contact the school ofﬁce as soon as possible. Student guides with a practice test may be picked up in the Crossroads ofﬁce during regular ofﬁce hours, or if someone happens to be in the ofﬁce during Friday activities. Cost is $17; if you haven’t yet paid, bring a check (made out to CRCS) or cash with you when you show up for testing. Make sure you arrive by 8:45 on October 10, so we will be able to begin testing promptly at 9 am. There will only be two short breaks, so not a lot of time for snacks and drinks. 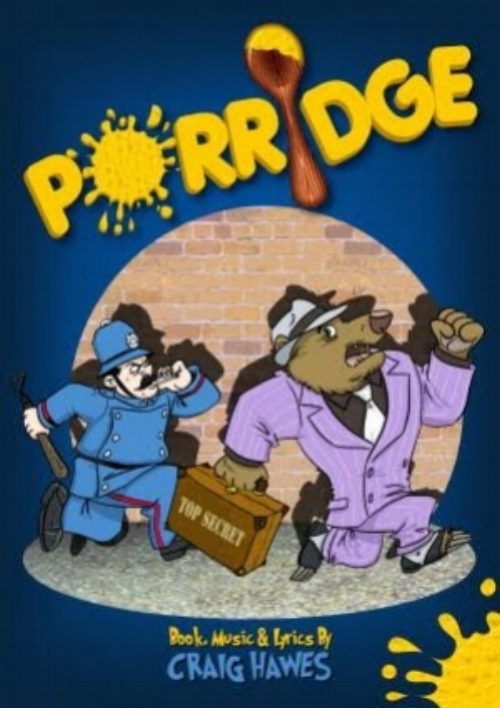 Make sure you eat breakfast before you come. Bring pencils and a calculator (you cannot use your cell phone as a calculator or as a clock). Free lunch in the Gym at noon. Prayer and Fellowship upstairs in the Youth Room 12:30 to 1:15 pm. Led by Stacy and Missy Lowery. If parents want to help with food preparation, please contact the school office. The Kiwanis Club of Moody is the sponsoring Kiwanis Club for our school’s Key Club and Builders Club. The club sponsors scholarships for Key Club seniors headed off to college. Additionally, the Moody Kiwanis Club sponsors the Dolly Parton Imagination Library, which supplies free books to preschool children in Moody. The biannual pancake supper is one of its main fundraising efforts. For $5 a person, you can eat some good pancakes and sausage, and contribute to a great cause! And you can have supper before you come to the Moody faculty meeting that evening! Even if you can’t come eat, we’d welcome your $5 if you purchase a ticket from a Key Club or Builders Club member! THANKS! I don’t know about you but I am ready for some cooler temperatures, gold and red leaves and brisk breezes! We will see how long it takes for that! The activities are off to a great start. We have fellowshipped together at the Back to School Bash, seen a play, experienced life in a developing country, went for a hike and listened to the symphony. Wow! October promises to be just as exciting! We have some new information so make sure you check it out. The new things are briefly covered below. Again, remember to read all the information on Cheddar Up because there will always be important information you will need for each field trip. Also, remember you can always go back to Cheddar Up and review any details for field trips or activities you signed up for. Highlight of this month’s activities: these are already signed up for on Cheddar Up. Detailed information can be found on Cheddar Up. October 26, Friday from 7-10 p.m.
What to Expect: Crossroads dances are a highlight for our teens and something we go all out for! Our Western Hoe Down will be no exception. From themed food, to photo props and decorations, and of course lots of dancing, students are sure to leave full of lasting High School memories! At our dances, we don't free dance, instead we build on the steps that our students are learning in ballroom dance class. Swing, Cha Cha, Tango, Foxtrot, Waltz, multiple Line dances, and of course a Barn Dance ( just to name a few)! We encourage teens to attend Ballroom Dance class on Fridays at 1:30 to learn these timeless dances. October 19th is a class not to miss as we will be learning some specific line dances for our Hoe Down. 1st, 2nd, and 3rd place prizes. Judging will be based on 3 criteria: costume originality, creativity, and presentation. You are encouraged to include things in your presentation such as trivia, character impersonation, etc. Presentation should be limited to 30 seconds. All Crossroads Normal dress code rules apply to costumes, NOT FORMAL DRESS CODE (review page 17 of Student Handbook); no inappropriate images, props or characters. *You do not have to participate in the costume contest. Be creative! Western doesn't have to mean cowboys. Think of historical characters during the Western expansion. How about a modern chic cowgirl/boy? If costumes stress you out, just come in jeans and a flannel and you'll fit right in! There are still spaces available for the November 15th field trip to The Berman Museum. Check out our activities sign up for additional details and to sign up. The deadline to sign up for this trip is October 15th. Teen and Elementary Christmas Parties: Our student Christmas parties are always a lot of fun. More details in the November newsletter but you can sign up on Cheddar Up now. Trail Life Troop 514 kicked off the new school year with two cool outings. Our first meeting was a pool party where the guys were able to enjoy a fun time of swimming, food, and fellowship. The Troop followed that with a lake trip where the guys were able to practice their skiing and wake-boarding skills. We even had time for some tubing. Our next outing will be to Panama City at St Andrews state park to work on the snorkeling Trail Badge. That trip is planned for the weekend of October 12-14. Trail Life is a character and adventure program for boys ages 5-17. We meet at Community Presbyterian on Monday nights at 6:30. For those interested in getting more information regarding Trail Life USA and Troop 514, feel free to contact Robert Poythress at robert@retailmakr.com or tlusatroop514@gmail.com. Fall Class Dates: October 5, 12, 19 (Theme dance 26) November 2, 9, 16, 30 December 7. As you know, the yearbook is only as good as the photos that are submitted. The yearbook staff will be working all year to create a keepsake to remember CRCS year 2018-2019. Auditions for the Jr High play (“The Somewhat True Tales of Robin Hood”) will be Tuesday, October 23rd & Wednesday, October 24th from 2:00- 3:45 in the back building at Crossroads. More information is being sent out in emails, so please make sure you have contacted Karen Cunningham at thunderridge@windstream.net if you’re interested. Details for how to audition will be emailed soon to those on the list. The performance will be March 14 & 15. 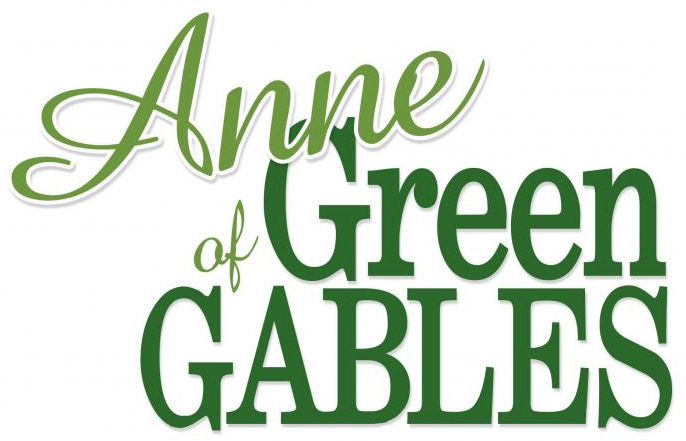 Auditions for the high school play, Anne of Green Gables, will be Tuesday October 23 2-4 pm, and Wednesday October 24, 1-3 pm in the Back Building at Crossroads. Please prepare a short memorized poem or monologue. Sign up for a 30-minute segment of time through the school office. Kristen Sharp will be directing. Performance dates are Thursday through Sunday, February 28-March 3, 2019, at ACTA Theater in Trussville. Most rehearsals will be Friday afternoons in Moody; tech week rehearsals (February 25-28) will be in Trussville.